GO 2 Transportation consistently receives top praise from the world’s most distinguished auto manufacturers, dealers and high-profile clientele with stringent needs and expectations. Their service and experience has led them to earn a reputation as Best-in-Class for confidential, safe and efficient performance. “We don’t remember a time when we weren’t passionate about cars,” says James and Amy Atkinson, founders of GO 2 Transportation. 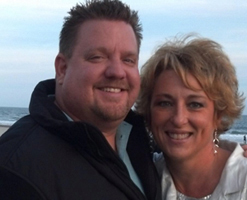 The entrepreneurial couple of James and Amy Jo Atkinson founded GO 2 in 2005. 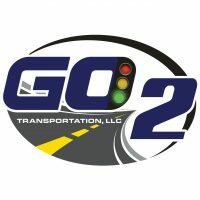 Today, James is President and CEO of and Amy Jo is the owner of GO 2 Transportation. Together with an experienced team of industry professionals, James and Amy Jo’s never-ending pride, commitment and focus on customer service are evident in the exceptional service, quality and safety experienced by a diverse customer base. What started as a one-truck operation with James at the wheel has grown into a world-class company with a fleet of 50+ semi-tractors and trailers that specializes in enclosed automotive transportation to the 48 contiguous United States, Alaska, Hawaii and Canada.